Kuala Lumpur, Malaysia – May 31, 2017 – Mastercard, together with industry partners, Cyberview Sdn Bhd and Malaysian Global Innovation & Creativity Centre (MaGIC), today reiterates its continued commitment to transform Cyberjaya as a Smart City with a focus on cashless initiatives. This was solidified following the ‘Launch of the Smart City of Cyberjaya: Innovation Drives the Smart City Transformation’ which was officiated by Prime Minister, Yang Amat Berhormat (YAB) Dato’ Sri Mohd Najib Tun Haji Abdul Razak. Mastercard will be providing its global expertise in innovative payment technology and network to increase the digitalisation of payments. This echoes Cyberjaya’s high impact agenda in becoming a cashless society, to elevate its foothold as a Smart City. Mastercard will embark on a pilot programme to test several smart city applications beginning Q3 2017. This also entails a partnership with internationally-renowned player in the smart city scene, Masabi, a global leader in mobile ticketing and innovative fare collection for transportation based in London to implement quality innovations that will benefit the Cyberjaya community. The pilots will first focus on the transportation as well as food and beverage (F&B) sector with more sectors to be included in phases. Cyberjaya will be the starting point and benchmark of this cashless society development, as part of larger plans to replicate these concepts into other Smart Cities throughout Malaysia, in the future. For consumers, the service will allow consumers to pay for goods and services from their mobile phones by utilizing a QR code without the need of a point-of-sale (POS) or mobile point-of-sale (MPOS) terminal. Merchants are only required to display a Masterpass QR code at the point of sale to accept e-payments. This is targeted at smaller scale Tier 4 merchants such as food stalls and coffee shops in Cyberjaya and nearby Putrajaya, allowing this segment to offer simple and safe e-payment options to customers and convert them to be part of the larger digital economy. Bus ticketing goes completely digital with Masabi’s JustRide mobile ticketing system, enabling anyone to use an app on their mobile phone to buy tickets quickly, easily and securely – anytime and anywhere. Consumers’ devices serve both as the ticket vending machine and ticket, removing the need to wait in line for a physical paper ticket when taking the bus. JustRide simplifies ticketing and validation using consumer smartphones, coupled with a web based management portal meaning no physical infrastructure is needed for this smart ticketing deployment covering the entire bus transportation network. JustRide is deployment proven across train, ferry, bus and subway in cities around the globe such as New York, London, Boston, Las Vegas and Athens. 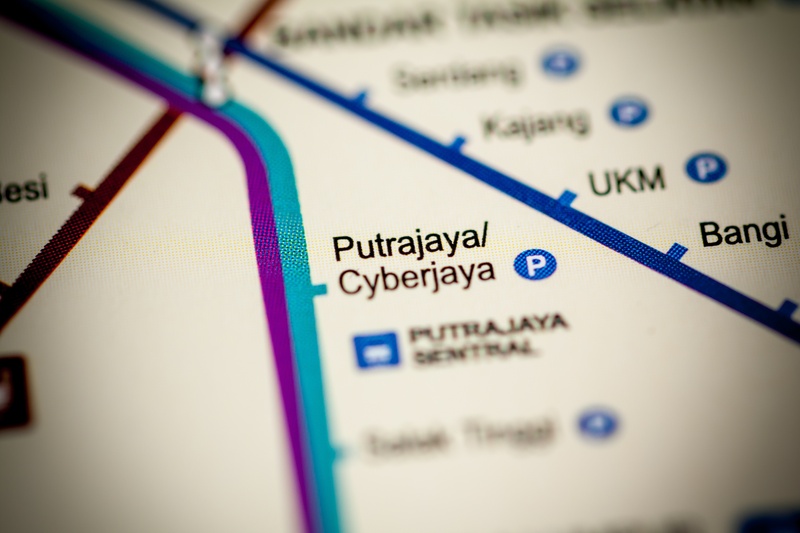 This will support the Cyberjaya intercity bus service. Providing more options for urban mobility with easy usage of smart bicycles which have a GPS tracker feature. A mobile app allows consumers to make payments on their smartphones for use of these bicycles. Making food takeaway from restaurants a more seamless and interactive experience whereby consumers can engage with merchant brands to build their order via AI-based chatbots using existing messaging platforms. It will be the first-of-its-kind conversational commerce innovation in Malaysia. The initiative follows the formalisation of a tri-party MoU signed at the Smart City Expo World Congress in Barcelona between Cyberview Sdn Bhd, MaGIC, and Mastercard on November 15, 2016 on a fleet of initiatives to transform Malaysia into a cashless society in line with the government’s efforts to reduce cash transactions and increase e-payments.